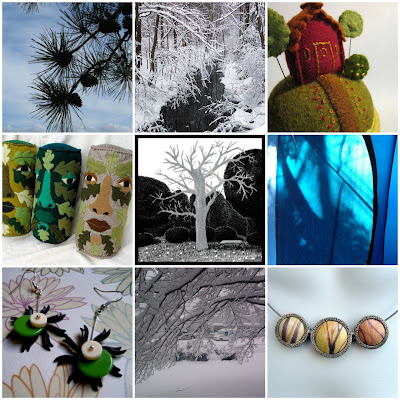 Boston Handmade: Mosaic Monday - Trees and more trees! Mosaic Monday - Trees and more trees! A bit of nature in our New England winter landscape. Thanks to Mimi K. for putting this together! Tune in next week for another Mosais Monday! !